Not to eat, but to ogle. 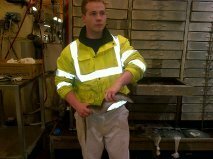 The scene was an early morning tour of London’s wonderful Billingsgate wholesale fish market, located on Canary Wharf in the Docklands in the shadow of mushrooming bank skyscrapers. This vendor and others also sold delicacies like smoked eel and jellied eel. More on this coming soon in myMEGusta’s Fourth of July Special honoring British food! 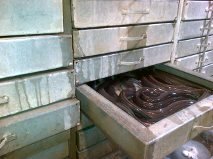 In Japan, the best eel is found in specialty restaurants where the creatures live in tanks until seconds before they are killed and cooked, mirroring how lobsters are stored in the United States. 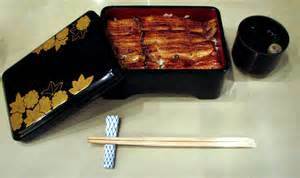 The best known Japanese preparation for eel (unagi) is grilling with a delicious, slightly sweet sauce known as tare, then served as unadon (eel in a rice bowl, donburi), unaju (eel in a lacquered box, jobako), or in various forms of sushi, sometimes sprinkled with sesame seeds or sansho (a ground dried berry with a spicy/tangy flavor). 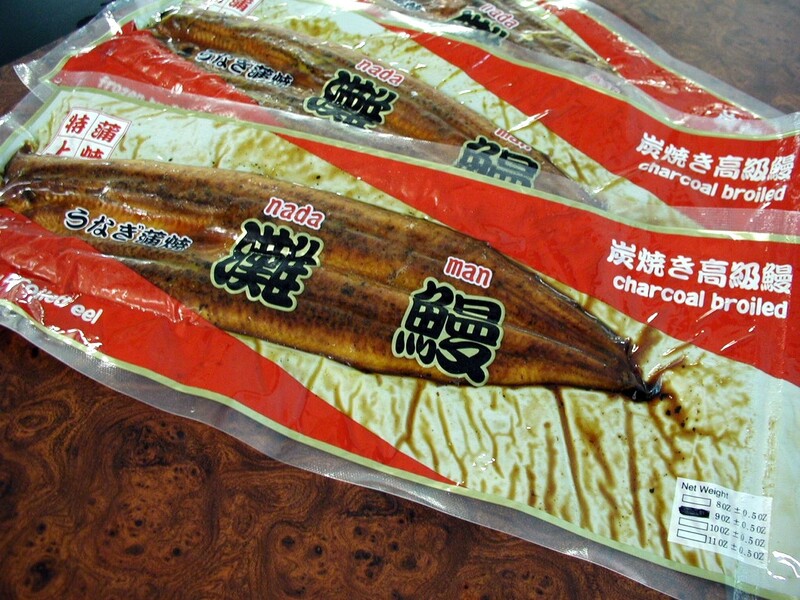 You can enjoy grilled eel anywhere there’s a Japanese grocery store. That’s how the Japanese homemaker prepares it, never cooking the dish from scratch. Moving to the Mediterranean, eels pop up in yet a totally different form, tiny elvers, baby eels known as glass eels. I know at least one MyMEGusta follower is a huge fan of Spanish angulas, glass eels simply cooked in olive oil with garlic and chili peppers. Alas, these delicious angulas are expensive due to shortages, although most eel on the market is now being farmed and this may mean more for all of us. My only (and, sadly, traumatic) experience with live eels was early on in our residence in Genova. I went to a local outdoor market and was happily perusing tomatoes, cheeses, basil, etc. when a vendor opened the wooden lid of a round, wood barrel filled with live and slithering you-know-whats! OMG  I think my shriek was his treat for the day! Indeed, eel-eating is a tradition with deep history in Japan, especially in the summertime (thought to revive heat-weary bodies). 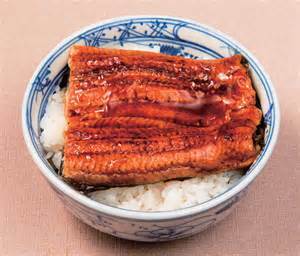 But Japanese unagi are now on the “red list” (in danger of extinction), a very recent development that got press attention here in Japanese. If i find something in English I will forward to you.